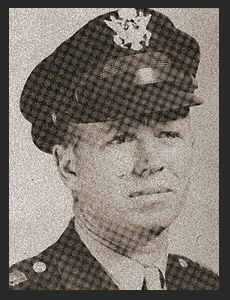 Maj. Polk, Fry Jr., son of Mr. and Mrs. Polk Fry, Sr., graduated from Frederick High School, received M.D. from Okla. Univ. ; husband of the former Dorothy Sims. Entered Air Corps in Dec., 1940, trained in Randolph Field, Ft. Sam Houston, Goodfellow Field, Foster Field, Victoria, Texas.